I live in North London with my husband who is a composer so our house is a creative hub! I am originally from the north of England where the dramatic scenery has influenced the rugged landscapes and adventures in my books. I didn’t intend to write a Gothic fantasy, the book just wrote itself. Once I had decided on the setting and some of the characters the story just tumbled out, it was a very odd experience looking back. I watched a Stephen King “YouTube” interview recently and he said virtually the same. That is what is odd about this process – do writers all have this inexplicable experience where they leave their present world and enter another one? The only way I can describe it is that there is a real joy in engaging in this creative process – I sit down at my desk, read over the last chapter and bingo more of the story pours out… the characters takeover - it is a bit like magic. As a writer I rarely plot storylines, I let them evolve through the characters and their motivations, good or otherwise. I enjoy getting lost and completely immersed in the fantasy world that I have created. Creating the characters is the best part, and I particularly like the nastiest, weirdest of my characters, but more on that later. 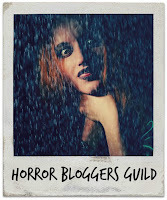 I have always been drawn to spooky things – horror stories, dark rambling houses, Gothic architecture and ghost stories. My favourite films and books usually have a dark plot such as Dracula, The Birds, The Hunger Games and most recently Game of Thrones. Finding a publisher and seeing The Morrow Secrets and The Shadow of the Swarm in hardback for the first time has been a great thrill. 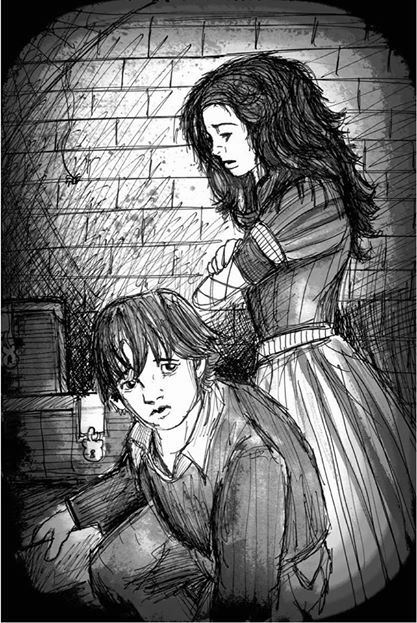 Each book has 20 Gothic illustrations by a dark artist called Luke Spooner www.carrionhouse.co.uk These drawings really bring the scenes and characters to life. Working with an illustrator has been a great experience, seeing his interpretation of my illustration brief, particularly when he too is into Gothic and horror has been amazing. What’s the process like? 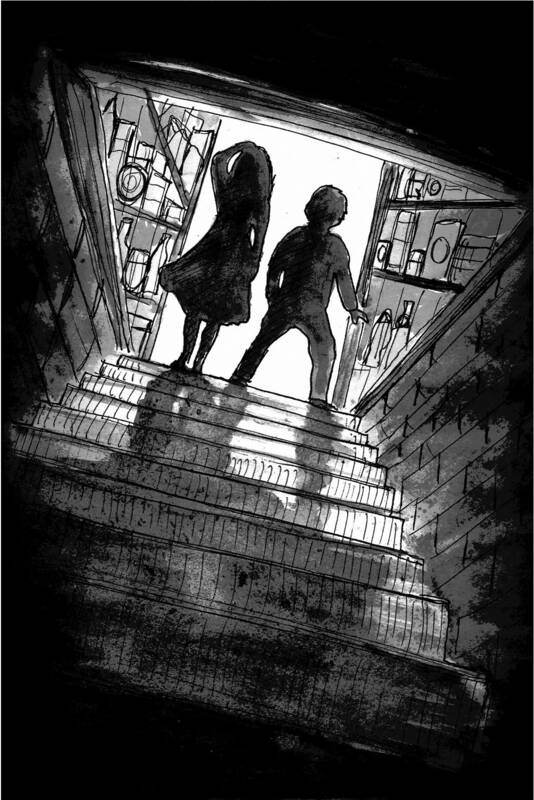 What inspired you to write The Morrow Secrets? The writing process is something that I have learned through trial and error. I have thrown away more words than I have had printed through ruthless editing and endless reworking of the plot until it gels. I enjoy working out the puzzles of writing, making the plot come together, and creating characters. You have to be determined because although the writing process is enjoyable, the book promotion is the hardest part even if you have a publisher. Writing a trilogy is complex as I have over 100 characters and many plotlines that need to be managed. My inspiration was a moment of inspiration when a number of ideas that had been mulling around in my head just came together and I had to start writing my story. I am a bookworm and like many people thought I might write a book one day but it was only when I began writing The Morrow Secrets that I became absolutely gripped. I had found my genre – Gothic fantasy or Young Adult fiction with a tinge of the supernatural. 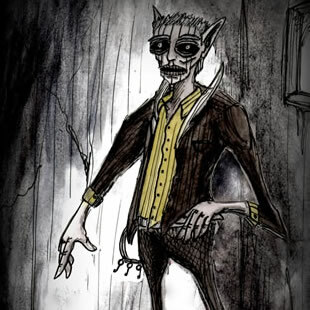 I discovered that I loved creating mysterious, fantasy worlds with sinister characters. Having done that and cut my teeth on fantasy, I do think at some point I will move on to writing horror. As a child I loved getting lost in make-believe worlds such as the Narnia books, The Hobbit and The Borrowers by Mary Norton. I wanted to recreate that same excitement as a writer – the joy of not being able to put a book down, so that the reader was desperate to turn the page and find out what happened next. As an adult I love horror and fantasy movies and books, also psychological thrillers, such as Psycho, Zodiac, The Woman in Black, Game of Thrones and Stephen King. I mostly identify with Tallitha, my heroine, who is headstrong and determined to overcome adversity. In writing the trilogy, I wanted to create strong female characters both good and evil, but also where the “good” characters have flaws too. The evil ones, Marlin the shrove, Snowdroppe and Asphodel and the nasty cave creatures were great fun to write. Writing a novel is about communicating your story, themes and character motivations to a wide audience across the world. I’m not sure that makes me feel powerful. I feel a responsibility to write the best story possible so that my readers have a great experience. The trilogy is aimed at the YA market but having said that adults who love fantasy and the supernatural have given The Morrow Secrets a number of 5* reviews. 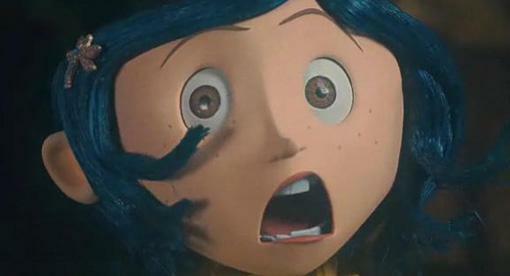 It is scary! It has witches, ghosts, séances and it dabbles in the supernatural and the occult. I did a lot of research into the paranormal and magic. It is also a very adventurous trilogy with scenes in deep caves where Tallitha and her friends have to scale underground caverns and potholes whilst being chased by some rather unfriendly cave dwellers. I like writing the scary parts best. Creating the build up, choosing the exact word, building the tension until the big reveal is challenging. 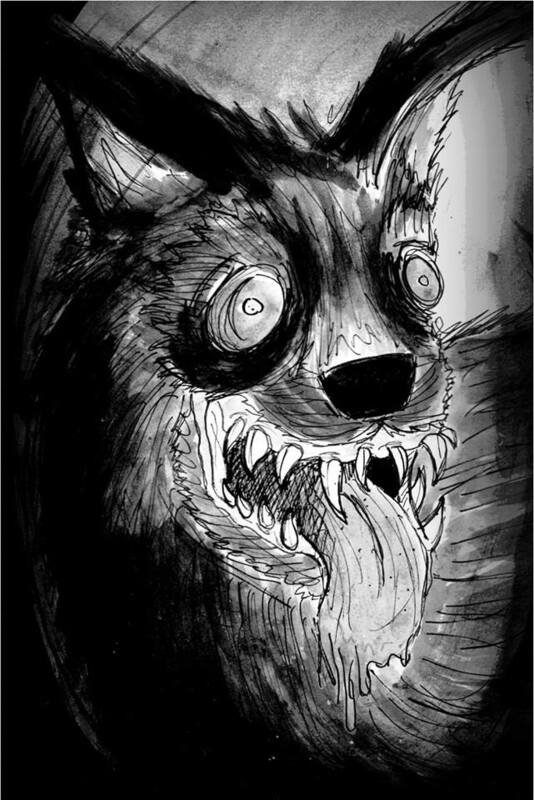 I had the most fun writing the scary scene in Ragging Brows Forest where the Black Hounds are on the rampage and are about to sniff out Tallitha and the Skinks… My sister-in-law was so scared she couldn’t read it! What did you learn about yourself while writing the Morrow Secrets? I have always been determined, but I have realized that I have tremendous staying power to finish what I start even though at times the world of a creative person has many downs, as well as ups. I believe in my own creative writing ability and that readers will love the story too and want to read books 2 and 3. A bad writing day doesn’t mean that you’re not any good it just means that you need to leave the book alone for a while, go for a walk see friends and rework the plot at a later date. That’s an interesting question! I am hoping that younger readers (10 years and upwards) will get into fantasy at an earlier age as the book is spooky, dark and exciting. My heroine, Tallitha is a feisty girl who is determined to unearth the Morrow secrets despite opposition from her sinister family. She is adventurous, brave but also foolhardy and has to learn many lessons to learn along the way about friendship, trust and perseverance. Some of the themes in the trilogy are: ”you don’t know what you’ve got ‘til it’s gone”; “there’s no place like home”: “life is difficult” and “where there’s a will, there’s a way”. Hopefully, the readers will see these qualities in Tallitha and they will reflect on their own lives. That sounds a bit OTT but surely all writers’ want to communicate the big themes in life, from their own experiences. 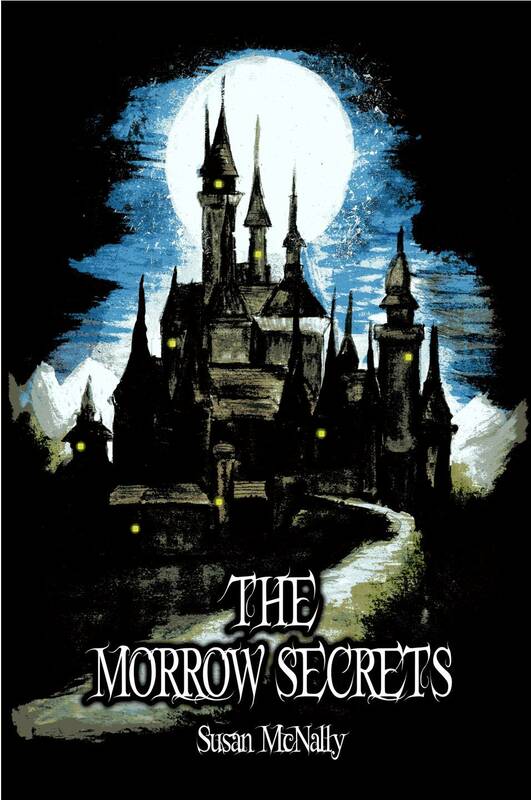 The Morrow Secrets Trilogy is a Gothic fantasy adventure about a headstrong girl named Tallitha who is determined to unearth the dark secrets of her sinister family. From the moment you step into Tallitha’s mysterious world and the weird old house of Winderling Spires the story takes you on a rollercoaster, an epic adventure story across dangerous lands, full of eccentric characters with scary twists and turns. It’s a story of intrigue, betrayal, the supernatural and magic. The third book in the trilogy will be published later in 2014. You can find out about my writing and also my books on the following sites - Happy reading!